 I would like to clarify a point in this article. When I talk about any food being bad or I disagree with the food pyramid, I am only advocating caution in putting large amounts of those food into your diet. I do not mean that everyone should avoid these foods at all times. So I keep seeing advertisements for the new food pyramid. Now I’m all for the idea of giving children a helpful tool so that they can eat better. But looking at it, I can tell that it is not giving the best advise when it comes to proper diet. The two things that let me know that the pyramid is not the best diet are basic human behavior and the fossil record of human evolution; and while I’m at it, I can also prove a growing diet fad wrong. 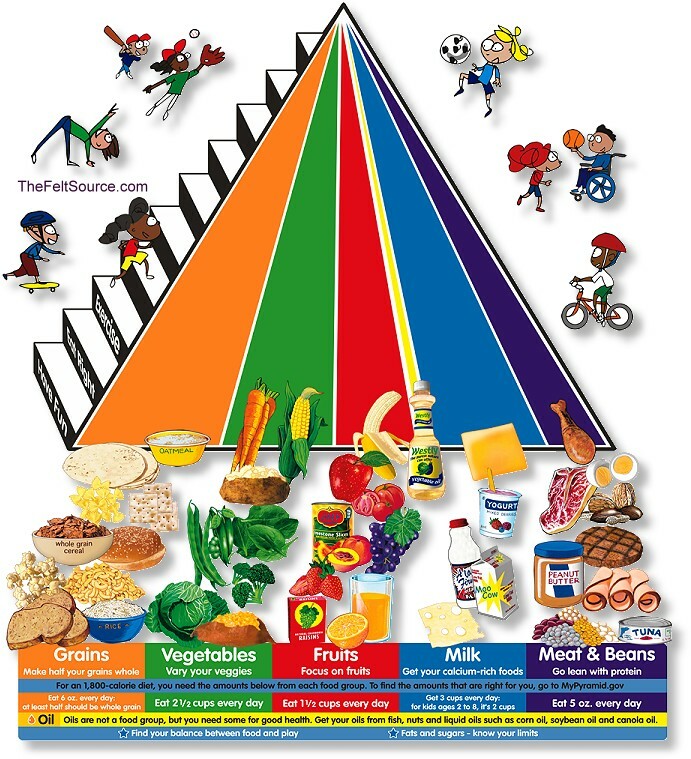 Now according to this pyramid, a healthy diet consists of large amounts of grain and dairy, followed by vegetables and fruit, finally followed by meats and oils. Now there seems to be some truth to this diet, but there are a few things that I have a problem with. To start off, the inability to properly digest gluten is being recognized in more and more people around the world. To me, this could be an indication that the human diet did not contain wheat until very recently on the evolutionary time scale. This would mean that our species has not evolved to the point where the consumption of common grains is healthy for the majority. When it comes to dairy being the second biggest slice of the “pie chart,” I can only say that humans are the only mammals on the planet that regularly consume milk after infancy. The high rates of lactose intolerance and dairy allergies in mammals shows that the heavy consumption of dairy after infancy is probably not the healthiest thing in the world. Now, onto the title of this article, the fossil record. If we look at the human skull, as well as the skulls of our most recent ancestors, we can pretty easily tell what diet we evolved into. To start off, the changes in hominid teeth. As you can see in the above picture, hominids have always had grinding teeth. This points to our species being a heavy eater of plant matter. This can also be easily seen in the skulls A-F. These skulls are longer and flatter than the skulls that come after, evidence of the need for powerful jaw muscles. There are only two reasons that we hominids would really need that much power in our jaw, the need to grind raw plant material, or the need to kill our prey with our bite. Considering that our teeth have never been that sharp when compared to purely predatory mammals like the felines, it can be implied that early hominids needed that skull shape to make the chewing of raw plants easier. Another interesting thing that you can see in the progression is that over time the skull has gotten rounder and the teeth have gotten smaller. To me, this shows that the smarter hominids were more successful than the great chewers. 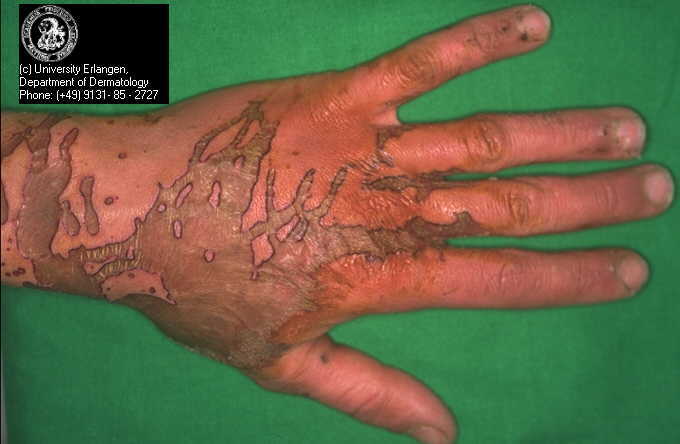 This change is also around the time that hominids were believed to have discovered the uses of fire. This would mean that as hominids evolved, they were able to devote more energy to the mental than the physical. They didn’t need as much jaw strength since cooking food usually made it easier to chew and digest. Now the fossil record shows that we humans evolved to eat much more plant matter than the food pyramid says we should, but what about our meat consumption? Is the food pyramid right about that one? This is where human behavior comes into play. When you look at the foods that people crave the most, you find that we crave meat, fats, and sugars. Now why would we crave these things when the fossil record shows that our staple food was vegetation? That’s actually pretty easy to answer, we didn’t get those foods very often back in the day. When an animal needs a particular substance in their diet, they have powerful cravings for the foods that contain said substance. These cravings are usually stronger when the food is harder to find, since the animal that gorges itself on vital nutrients would be the healthiest and therefor the most successful in passing on its genes. Since we humans have strong cravings for meat, fats, and sugar, I believe that these resources were harder to find in the natural world. That would then mean that our bodies evolved to get meats, oils, and sugars in smaller amounts than vegetables. So let’s put this all together, shall we? Humans are an animal that evolved from ancestors that were designed to eat raw plant matter over meat, we then evolved with our use of fire to eat cooked foods, the rate of gluten intolerence is being shown as very high, we crave meat and sugar, and mammals do not consume dairy after infancy. This would mean that the food pyramid is right about meat and oils/sweets only. When you look at our evolution and behavior, the human being is an animal that should thrive on a diet primarily of cooked and raw vegetables, a decent amount of fruit, small amounts of meat, and occasional indulgences of oils and sugars. Grains and dairy should most likely be eaten in similar quantities for the best health, or not at all for individuals with intolerance to either one. Now I want to clarify that I am not a medical professional. If you want to know more about this, I would recommend that you talk to your doctor before changing your diet. If your doctor does not feel comfortable giving this advice or is too busy to sit down long enough to talk about diet, then have a doctor you trust recommend a nutritionist. A doctor or nutritionist can go over your diet and make sure that you eat foods to maximize your health and nutrient intake.